I’m a former resident of Belleville, that fascinating, messy, somewhat chaotic neighborhood in Paris’ northeastern corner. One that many tourists find odd and even unnerving when they stumble on it– mostly after visiting the Père-Lachaise Cemetery at its western edge. Noisy, crowded, and not always pristine-looking, this incredibly diverse, artistically charged area doesn’t really fit the idyllic (and largely fictional) image of the city most people continue to carry around in their heads. What to See and Do in the Area? Admittedly, you have to be accustomed to quite a bit of urban grit to see through some of the more unpleasant and even disturbing sides to the area– and I say that as a long-time resident who adores it. Open-air prostitution on the nearby Boulevard de la Villette remains an unsettling and worrying problem that can be hard to ignore. It isn’t unusual to see trash piled on the sides of the road and blowing casually in the wind, especially following the vibrant market that takes over the Boulevard de Belleville every week. Moreover, some of the buildings in the area stand in frank disrepair, with peeling paint, collapsing foundations, and conditions that appear less than healthy or safe for residents. 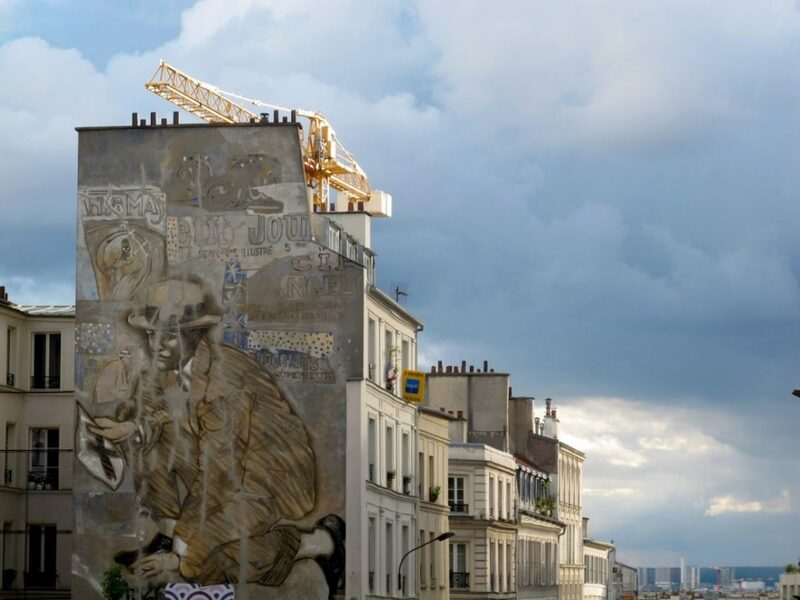 High-rise buildings and decaying “social lodging” from the colonial era house mostly low-income migrant workers on short-term visas who’ve come to Paris in search of a better life– but their day-to-day quality of life is definitely not on par with most Parisians’. But the area has so much to offer the more intrepid and culturally curious traveler. The one who’s interested in understanding how Belleville is forever imprinted with the fascinating history of working-class culture, popular revolts and even revolutions. How successive waves of immigration over some 200 years– from Greeks and Armenians to Tunisian Jews, Moroccans Chinese and Vietnamese— have constantly reshaped the neighborhood, creating fascinating layers of cultural influence that reveal themselves in surprising and interesting ways. 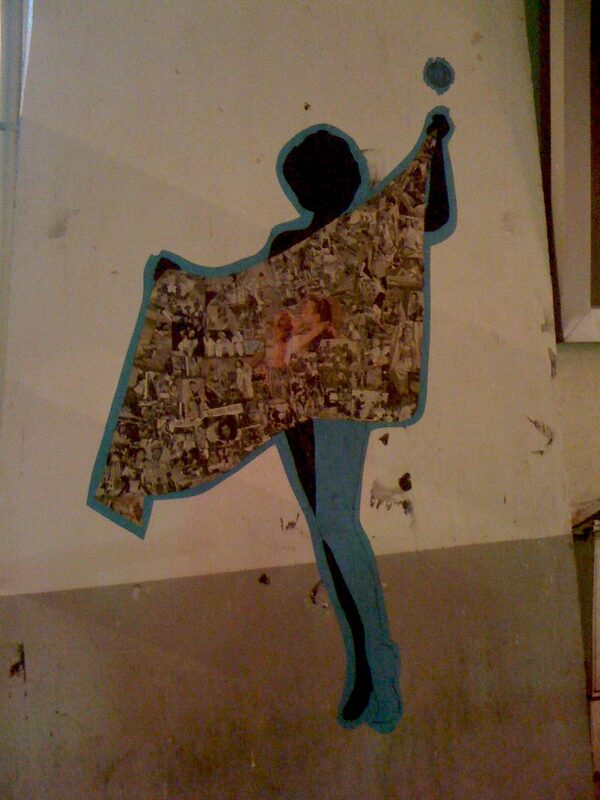 More curious tourists will be drawn to how artists enrich Belleville through street art, buzzing galleries and workshops (ateliers) that are frequently opened to the general public. These are all seemingly worlds away from the moneyed, often sterile galleries of the Marais or St-Germain. In short, there are so many reasons to explore this distinctive quartier. Read on for my tips on what to see and do, and as always, a glimpse into the area’s remarkable history. The image above visually conveys Belleville’s legacy as a center of working-class Parisian culture. 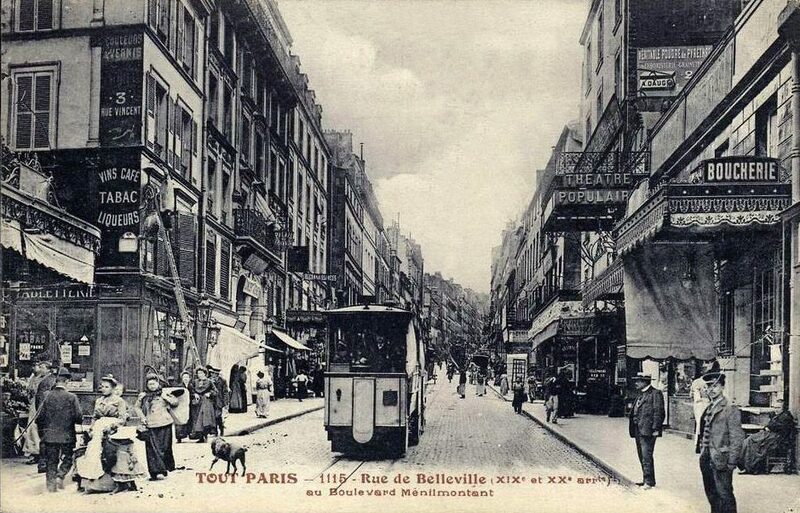 It depicts the Rue de Belleville at the turn of the 20th century. 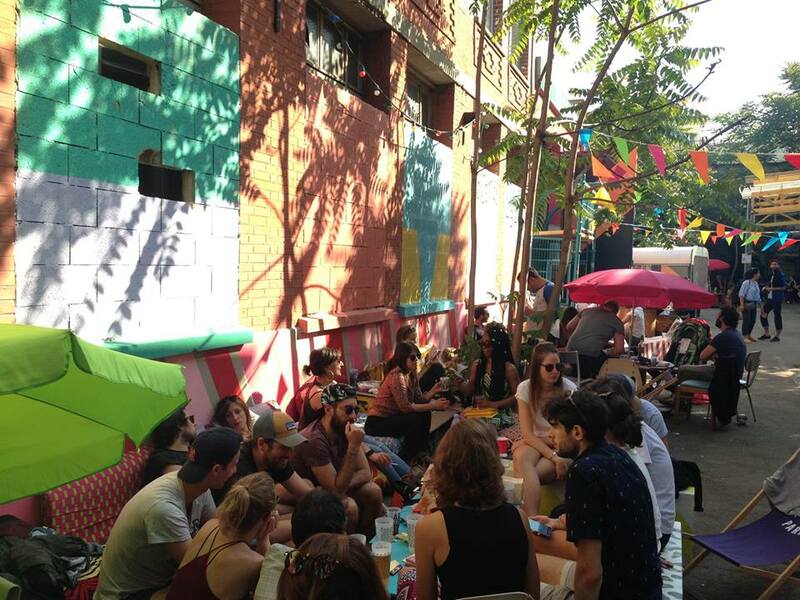 These days, it’s lined with Asian restaurants, markets and, increasingly, hip bars, wine shops and cafes. 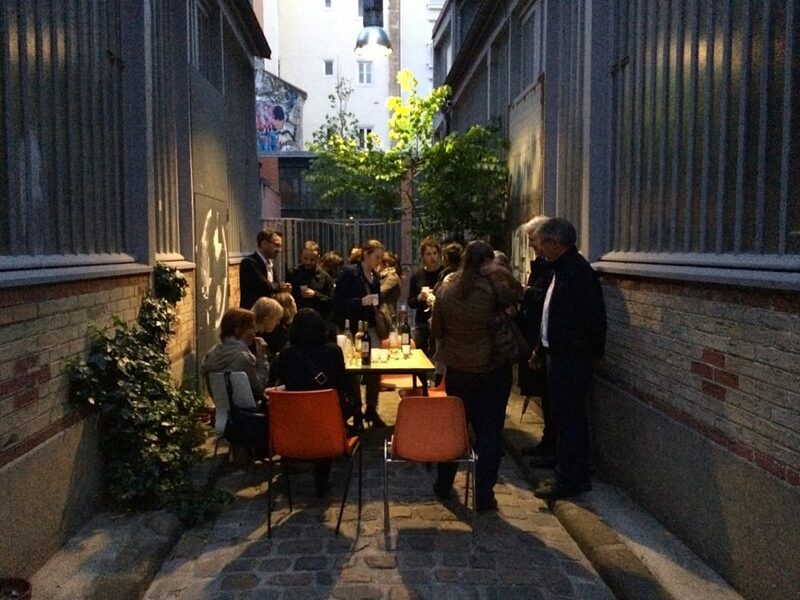 It shows locals going about their daily lives, socializing at small tables outside cafe-tabacs, waiting for trams at theatre populaires (theatres catering specifically to working-class audiences) and sitting outside traditional shops. Incidentally, the tram line has long disappeared from this part of Paris, now mostly serving the outer rims of the city. The history of Belleville as a teeming locus of working-class culture goes back centuries, when the then-independent village was populated by farmers, winemakers tending humble local vines and operating small cafes, cabarets and even brothels. Like Montmartre and many other villages at the outskirts of the French capital, Belleville formed its own distinctive local identity, and even, according to some, its own singsong accent and vernacular/dialect in French. It’s the sort of vocal timbre made famous by the likes of Edith Piaf. To my ear, you can still hear it pronounced today in some of the older bars, cafés and shops along Rue Ménilmontant and elsewhere, but it’s rarer and rarer these days. Long associated with popular revolt, socialist and communist ideas, Belleville is legendary as a site of battles and massacres, following the brief popular revolution of 1871 known as the Paris Commune. 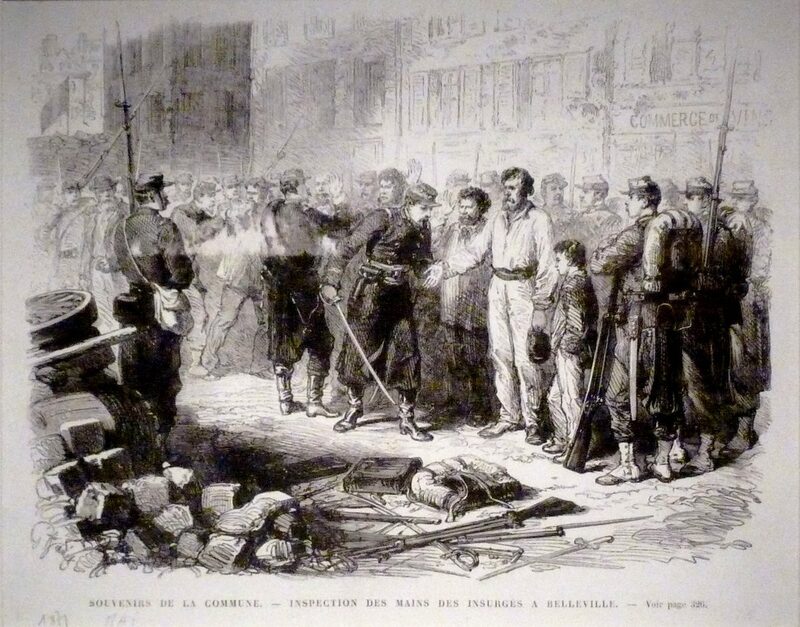 The “Communards” of Belleville were among the last to surrender to the counterrevolutionary Versailles Army, building strong barricades around the neighborhood. Most of the revolters were captured; thousands of people were gunned down in the streets. 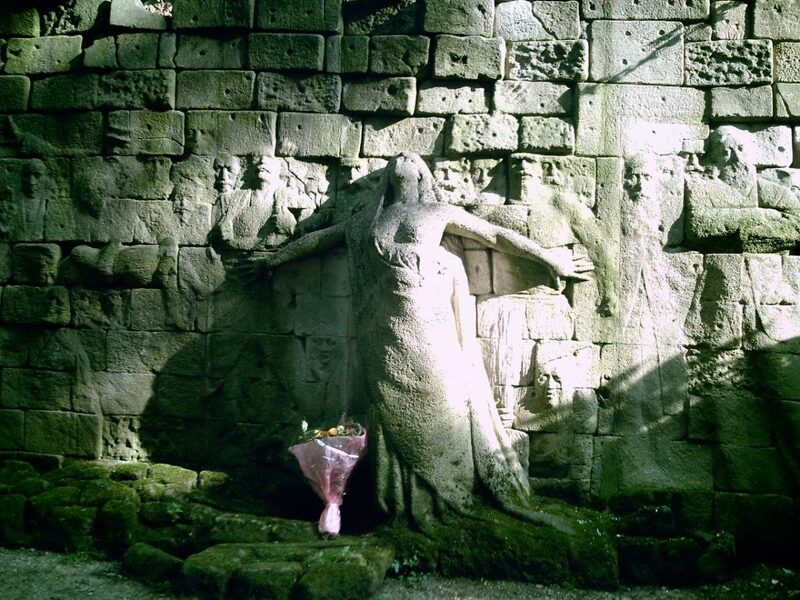 Today, you can see a haunting memorial in their honor (known as the Mur des Féderés) at the nearby Père-Lachaise Cemetery. This is, of course, an essential attraction to beeline to in the area. The Mur des Fedérés at Père-Lachaise commemorates the gunned-down victims of local insurrectionists during the Paris Commune of 1871. Starting from the time of the Industrial Revolution, Belleville was a site for new factories, ateliers and warehouses– and they needed workers. Waves of immigration followed throughout the 20th century to supply labor in the area, while some immigrants came to escape pogroms, political persecution or instability in their home countries. 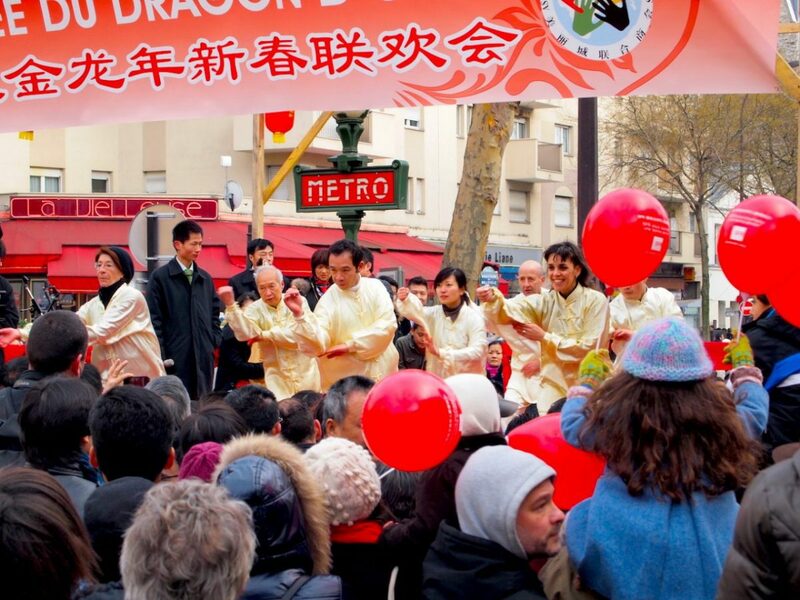 Naturally, each new generation of migrants brought their own cultural traditions. Greek, Armenian, Tunisian, Algerian, Subsaharan African, Vietnamese– Belleville is marked by all of these cultures as a result of intense and constant migration to the area. Annual celebrations such as Chinese New Year (falling each year in January and/or February) highlight the quarter’s hybridity. Keep reading for ways to experience the diverse cuisine and culture/s of Belleville. Despite its centuries-long history as a proud bastion of a particular Parisian working-class culture, my beloved former neighborhood is currently gentrifying at a breathtaking speed. 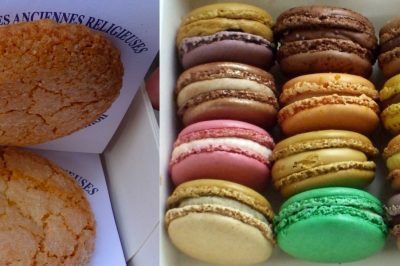 This is evidenced most recently in the opening of an enormous wine bar, health food stores, luxury cheese shops and vegan restaurants along the Rue de Belleville. The Cave de Belleville wine bar: a newcomer on the bustling, steep main drag on Rue de Belleville, and a sign of rapid gentrification. Photo credit: Caitlin V.
As in any place that’s gentrifying, the process brings both benefits and a few pernicious effects. Some, including local artists who benefit from cheap rents and new waves of immigrants who can’t afford the expensive rents of tonier neighborhoods, fear they’ll soon be priced out of the area. Others are enjoying the arrival of artisan shops, organic markets and bars catering to a young, hip clientele, and those families who bought property in the area decades ago now stand to benefit from the area’s increasing popularity. It’s certainly a mixed bag, but one thing remains certain: les Bellevillois (the area’s residents) seem determined to preserve the neighborhood’s distinctive character and historical legacy. I hope they succeed. While I recommend aimless wandering as a method for discovering the area at your own pace, here are a few suggestions for enjoying the area to the fullest. Start at metro Belleville (line 2, 11). Exiting the station, you’ll find yourself at the busy intersection between Boulevard de Belleville and Rue de Belleville. The latter starts out on flat ground but quickly runs up a steep hill, to the aptly-named Metro Pyrenees (after the mountain range), then further north to Jourdain (where another neighborhood informally begins). Aux Folies is at the center of Belleville nightlife. 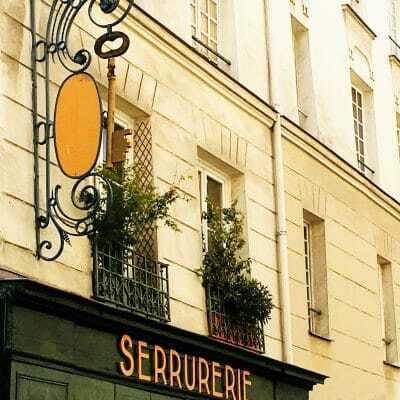 Whether you take 15 minutes or an hour, explore the little streets around Rue Denoyez, situated at the left-hand side of the cafe-bars that’s long been beloved by locals, Aux Folies (8 rue de Belleville). 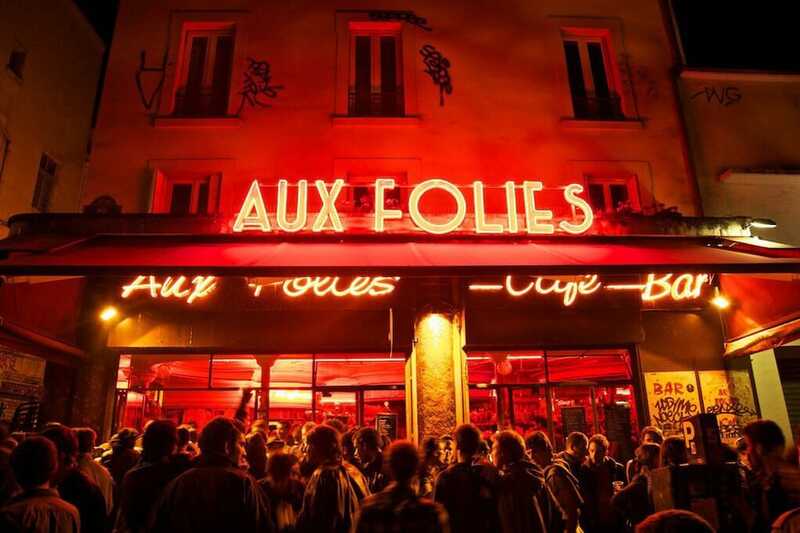 After wandering down the street and taking in the murals and local ateliers, you can stop to have a cheap drink on the terrace at Aux Folies. If it’s cold out, head inside to the somewhat disheveled, red-upholstered interiors for a bit of old-world Belleville. In addition to the aforementioned Marché de Belleville, which is open on Boulevard de Belleville between metro Couronnes and Belleville each Tuesday and Thursday from 7:30 am to around 2:00 pm, I recommend you check out “Le Food Market”, a new pop-up market that’s open one Thursday evening a month in the same location. Vendors at this new market sell delicious street food dishes based on recipes from around the world. See the Facebook page for upcoming dates and information on all the stands. 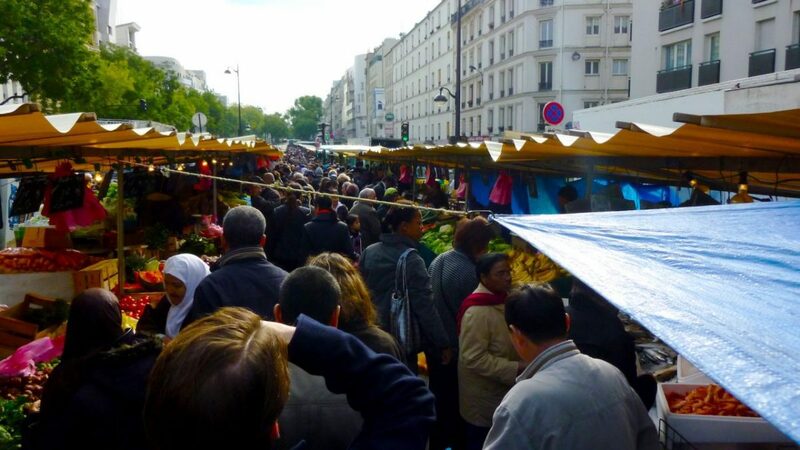 When you’re on a budget, Belleville is an ideal place to explore Paris’ varied culinary culture. It’s especially famous these days for its Chinese restaurants and Vietnamese pho joints (traditional noodle soup with beef and vegetables). Bo Bun is also popular, and consists of various vegetables, shredded meat and spring rolls. Besides being fun to say and order, Bo Bun can be a good choice for the non meat-eaters among you: Many places offer vegan versions these days! 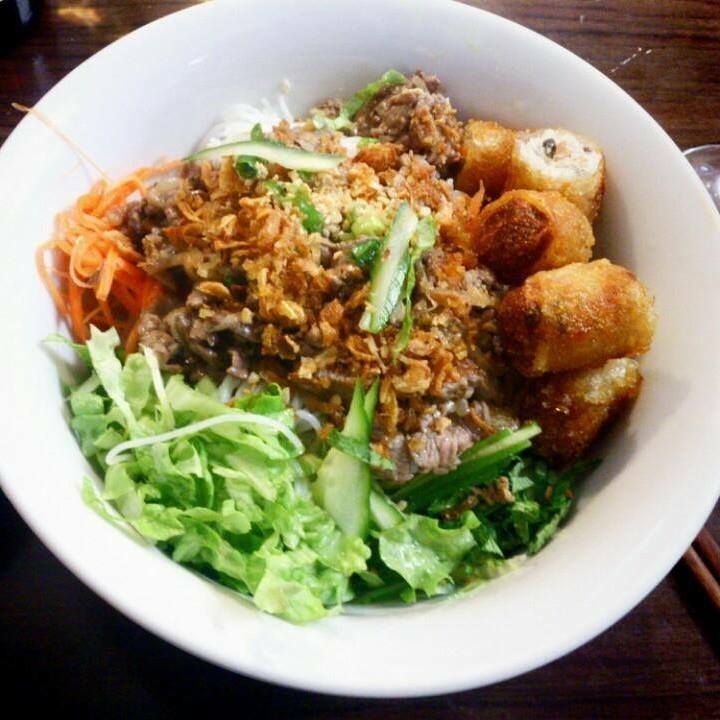 See this list for some good recommendations on Vietnamese restaurants to try in the area, including Pho 19 at 43, rue de Belleville. I and friends of mine have also frequented Le Rouleau de Printemps at 42, Rue de Tourtille, and the quality there is generally very good. I’ve eaten at most of the noodle and Pho bars on Rue Louis Bonnet (a smaller street easily accessible from the main exit at Metro Belleville). Most are excellent, so pick one and enjoy– assuming you can get a table, that is! Owing to the large Chinese community in Belleville, there’s a plethora of authentic and interesting Chinese restaurants and “cantines” in the area. In addition to the iconic and enormous restaurant looming just outside the metro exit, Le Président– its interiors are plastered with photos of French presidents and politicans who have visited–, there are numerous others worth trying. Browse a list of other highly-rated Chinese eateries and cantines here. 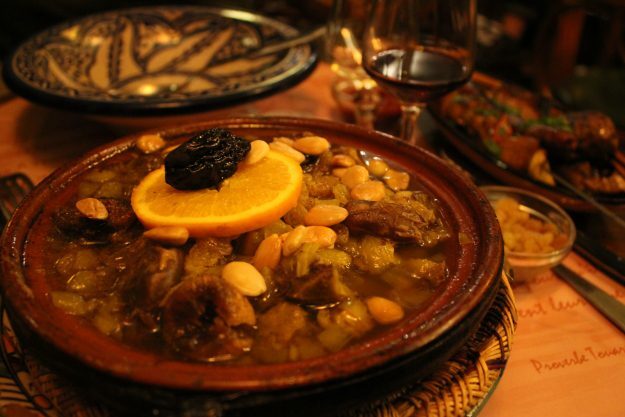 Closer to metro Couronnes, at the point where Boulevard de Belleville turns into Boulevard Ménilmontant, you’ll find a variety of eateries and small markets specializing in Moroccan and Tunisian cuisine. I’ve tried many of them and most are of very good quality, so I recommend just taking a stroll and ducking into whichever catches your fancy. 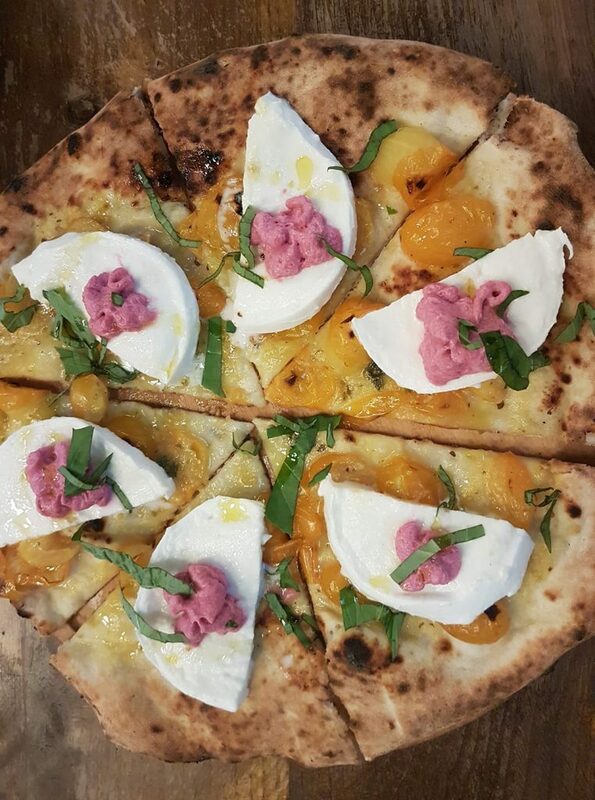 See my guide to the best Italian restaurants in Paris for my full assessment of this unassuming but excellent pizzeria. 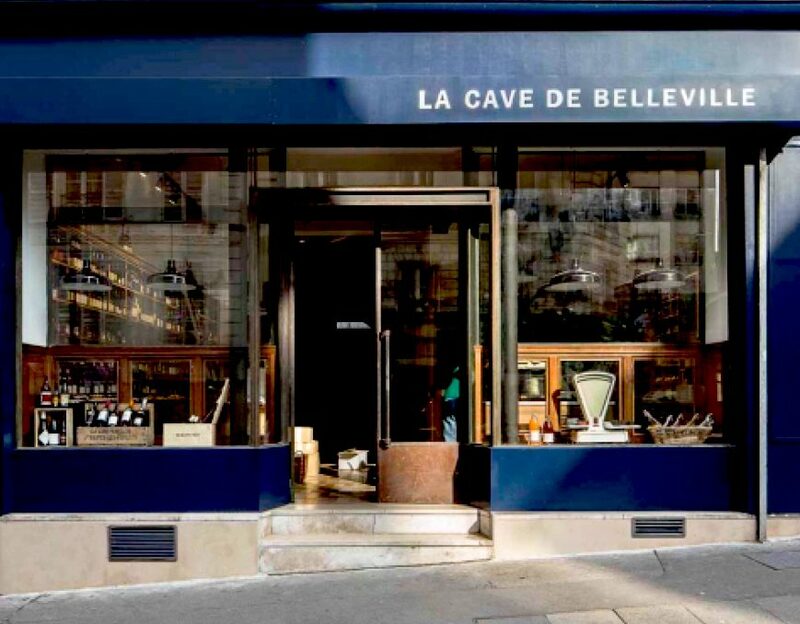 For superb wine tasting and delicious French cheese boards, head to the aformentioned new bar, La Cave de Belleville (51 rue de Belleville, metro Belleville or Pyrénées). 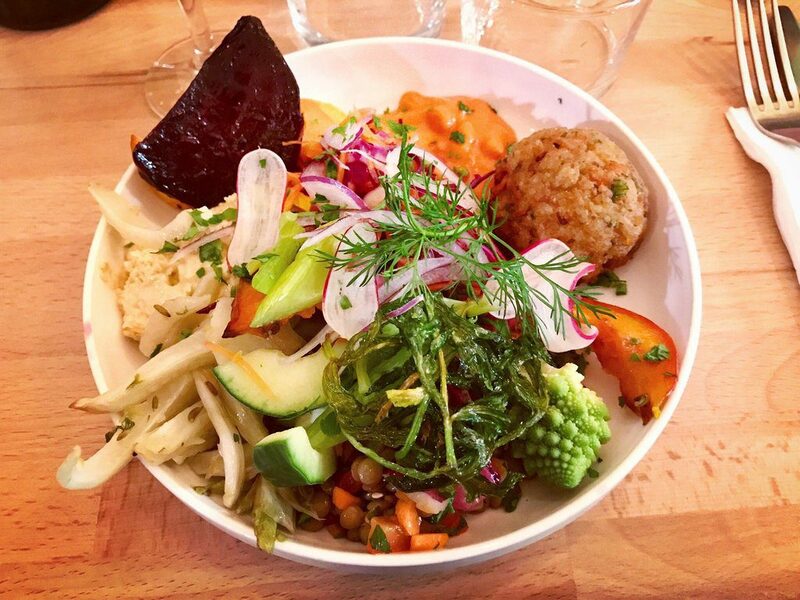 A vegan dish at Primeur Cantine, a popular spot for non meat-eaters and flexitarians in Belleville. 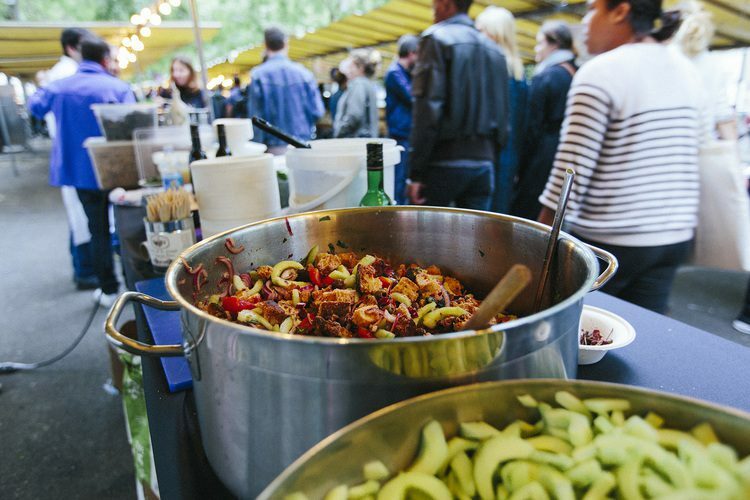 Finally, the area is increasingly becoming a popular spot for vegetarian and vegan culinary experiences. See this list for some good suggestions on meat-free places to eat in the vicinity. One place I’ve been to and can recommend is Primeur Cantine (4, Rue Lemon), a cheerful cantine on the adorable little street behind Rue Denoyez. 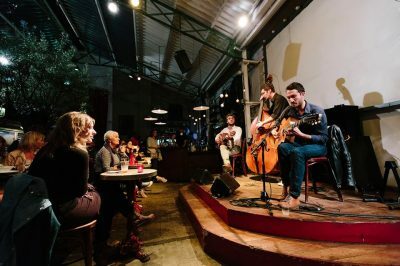 Since its origins as a cheerful wine-making villages dotted with guinguettes (musical cafés featuring folk performers), Belleville has long been associated with nightlife of a mythical Parisian variety. Today, it’s got both old-fashioned cabarets and dancehalls and hip bars where local artists convene after a gallery opening, or for poetry readings. Here are a few I recommend. 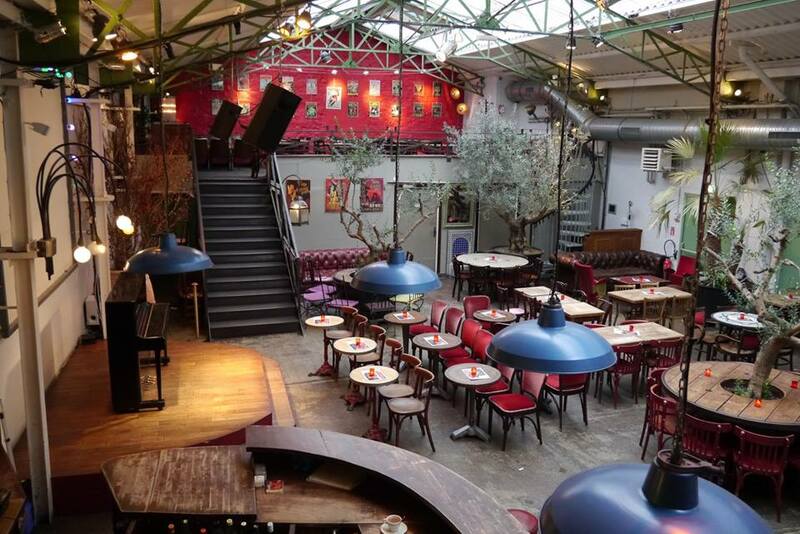 Head to La Java, a legendary bar and club where Edith Piaf and Django Reinhardt once performed. They alternate between DJs spinning contemporary music, Latin -themed nights and ballroom-style events. The club is housed in the basement level one of the most ornate buildings in Belleville, They’ve also got a ridiculously pleasant outdoor terrace for those warmer nights. 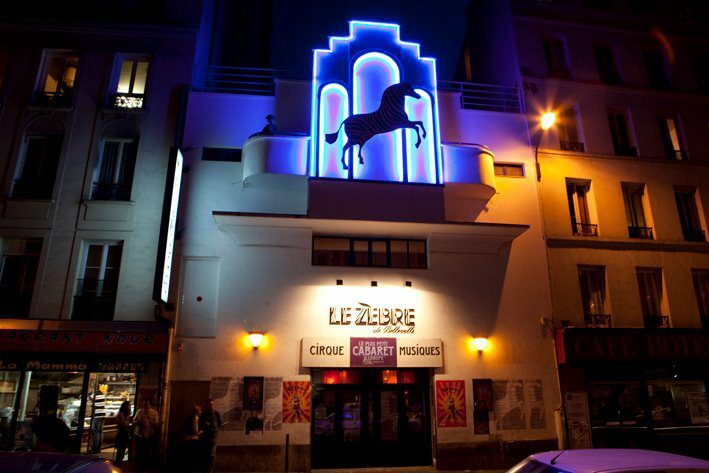 For a traditional Parisian cabaret, there’s the Zebre de Belleville, easily recognized by its old-school signage at 63 Boulevard de Belleville. 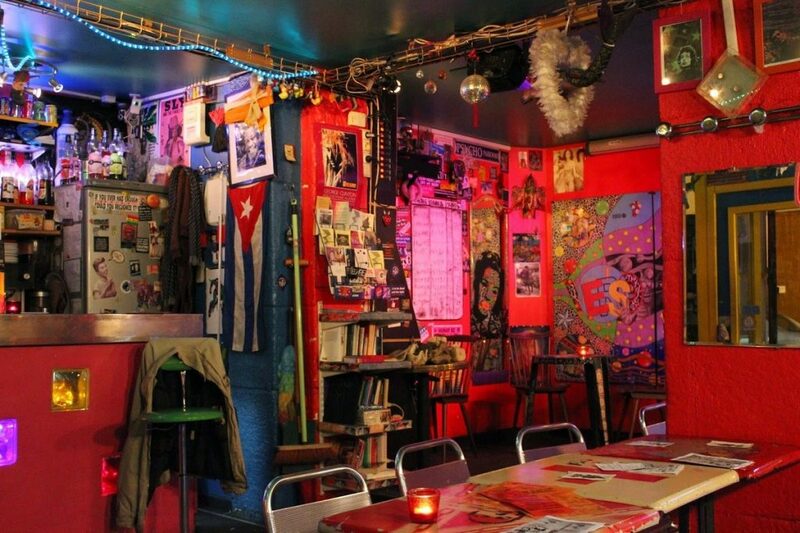 Arguably a lot edgier than the glitzy and pricy Lido or Moulin Rouge, this is a cabaret, circus and club that’s managed to retain a reputation for arty authenticity and old-school charm. Other places I highly recommend after dark (or for an intimate coffee break) include Cabaret Populaire/Culture Rapide (103 rue Julien Lacroix, pictured above), a cafe-bar that hosts slam poetry evenings once a week and is also a lovely place to hang out during the day; Café Chéri/e (44 Boulevard de la Villette), one of my old haunts where friends and I have long gathered; Café Cannibale (93, rue Jean-Pierre Timbaud; Metro Couronnes), a cool bar for working during the day and catching live music in the evening, and, up in the heights of northern Belleville off of the steep Rue de Ménilmontant, La Bellevilloise, an airy, historic spot that hosts live performances and themed evenings. Belleville isn’t the greenest of places in Paris, but does boast a couple of lovely parks in the near vicinity. This romantic-style park built on a hillside overlooking the city boasts lovely lawns and steep, green-canopied passageways down numerous flights of stairs. Enjoy a picnic here, or just take a walk. On a clear (or even semi-hazy) day you can see the Eiffel Tower far in the distance. 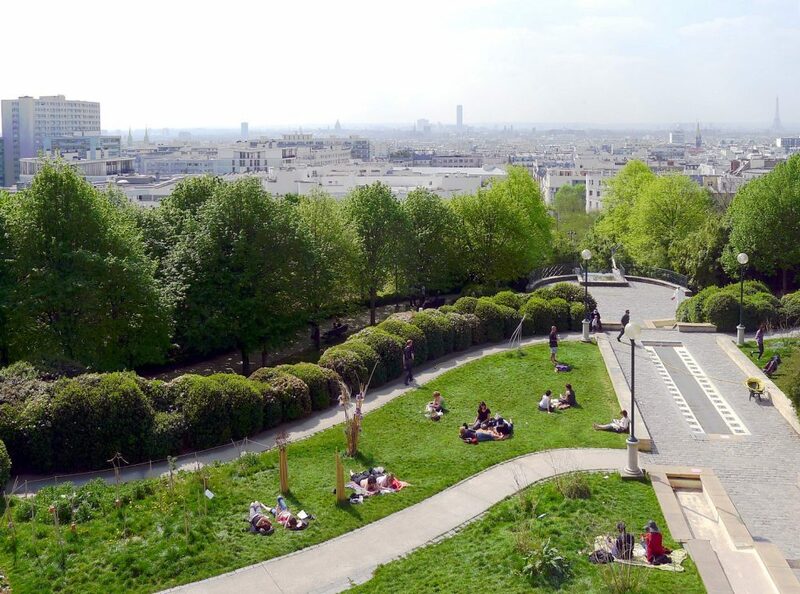 The most convenient access point is at 47 rue de Couronnes, or you can hike up to Rue Piat, turn right and enter the park from the top, then walk downhill. 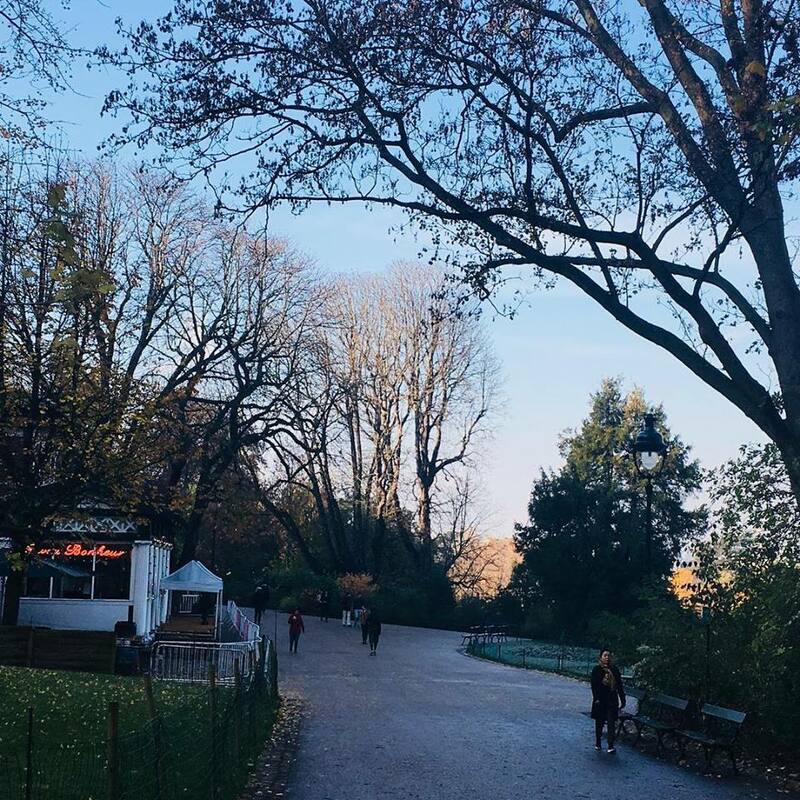 After exploring Belleville to your heart’s content, I recommend heading over to the sprawling, gorgeous Parc des Buttes-Chaumont if time allows (and the weather’s decent). Built on a former limestone quarry, it’s a masterpiece of romantic landscaping. 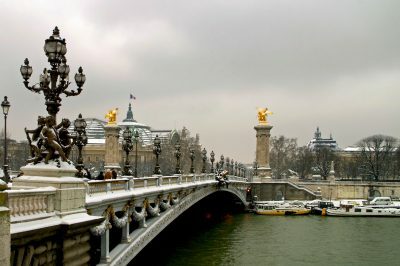 See more in my guide to cozy places to visit during the winter in Paris. It’s also lovely (if overcrowded) in the summer, of course. As anyone who’s a fan of “La Môme” likely already knows, Belleville is the birthplace and early stomping grounds of the legendary singer-songwriter. Her grave lies at the nearby Père-Lachaise, and she was born at the hospital nearby. A small museum and a monument in her honor isn’t far. 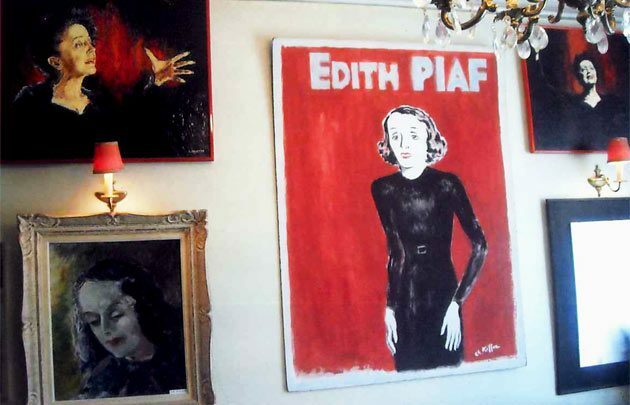 Read my full guide to “finding” Piaf in Paris for more details. Last but certainly not least, if you happen to be visiting in May, make sure to take advantage of the “Open Artists’ Workshop” event in the neighborhood. 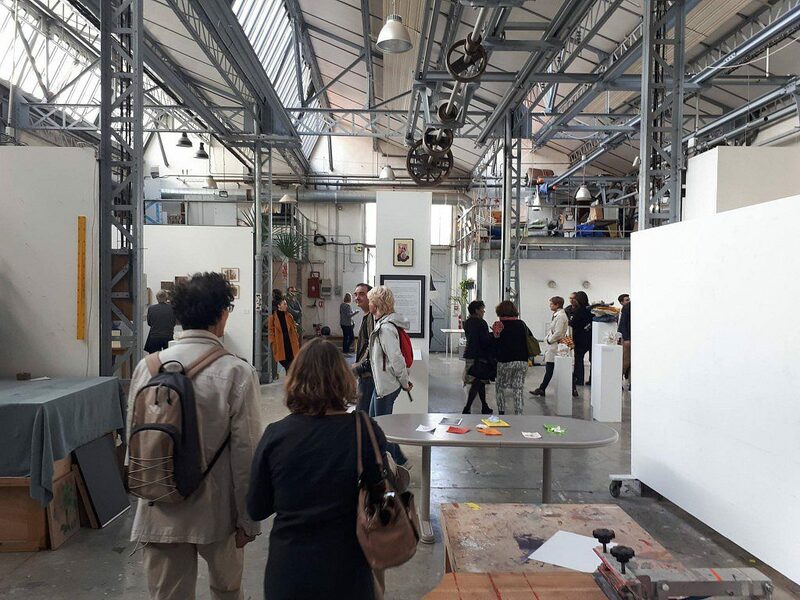 Local artists open their ateliers and workspaces to the public, offering you a glimpse not only into the workings of some of the city’s most creative people, but also into the “back-end” of Belleville: courtyard buildings, leafy inner terraces, and narrow private passageways. 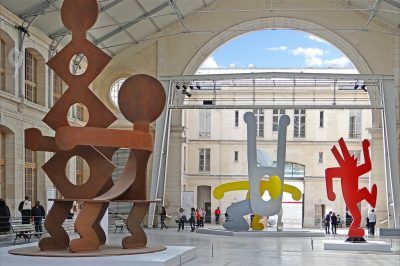 Otherwise, a similar event is held in September by an artist’s association in the adjoining Ménilmontant district (roughly speaking, still part of the same district). Attending either of these affords a unique perspective on the district and its creative denizens. Just when I think I’ve got my old neighborhood cracked and my current understanding is solid, that deep sense of familiarity and recognition gets upended. Especially since I don’t live there anymore, I’m constantly struck by the speed at which Belleville is changing. At the same time, it continues to fascinate and unnerve me for the same reasons it did when I arrived as a green 22-year old, fresh out of college and staying at a friend’s place near the Parc de Belleville while I looked for my own apartment. There’s good reason why I feel so connected to the place: I’ve called it home at two separate periods in my life. (Side note: Read about my tiny room on the 2nd and 1/2 floor nearby Rue Montorgueil, in my separate “love letter” to that neighborhood). But beyond these subjective connections, it’s an area appears to have been left to a weirdly poetic entropy. Unlike more carefully curated, frequently renovated corners of the city, which show their ‘best” facade for the sake of keeping the tourism industry humming, Belleville shows remarkably transparent historical layers. But if it does so in a visual, superficial sense, through flaking paint, murals superimposed on top of old advertising slogans (see example below), and buildings that look virtually untouched since the early 20th century, it’s harder for visitors to really grasp the history of the place compared to areas designated as “touristy”. This enigmatic mural on the corner of Rue de Belleville and Place Frehel has been here since I first moved to Paris, in 2001. Is the hat-donning figure searching for treasure? Credit: Courtney Traub/All rights reserved. 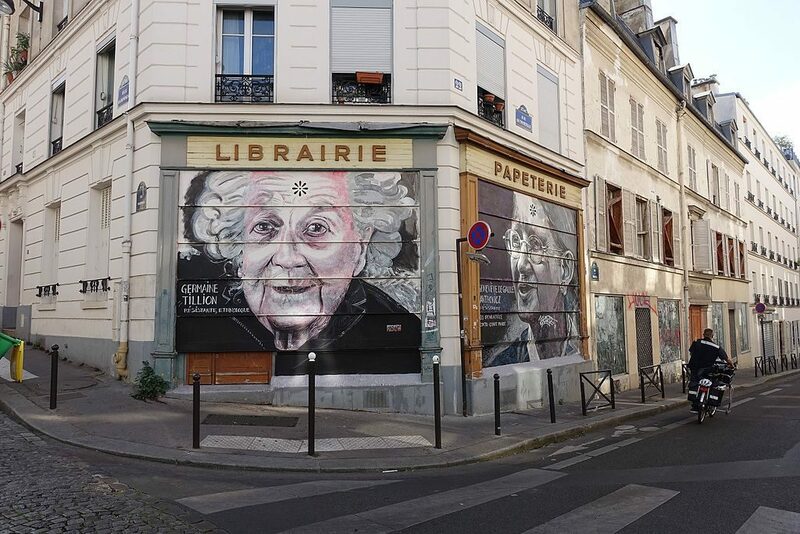 The familiar neighborhood landmark below is particularly enigmatic: it stands on Place Frehel, well-known for its slam poetry and street art scene. 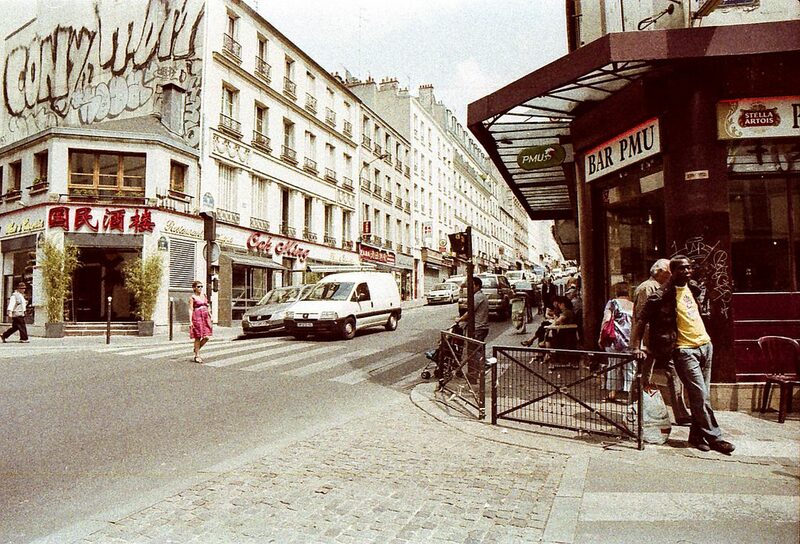 This 1993 installation on Rue de Belleville and Place Frehel is from French artist Ben. Credit: Courtney Traub/All rights reserved. On one side of this small, unintended cavity, a jumble of tables and chairs form the terrace of the Culture Rapide bar, the leading venue in the city for slam performance poetry. 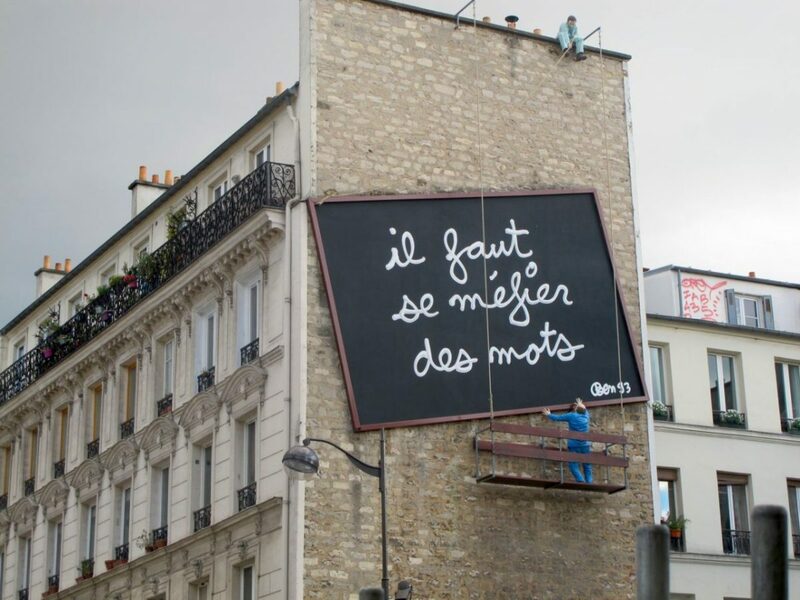 Above, an installation by the artist Ben informs us that “Il faut se méfier des mots.” Words clearly have their importance in this rather unique location, but it is not easy to find the right ones to describe it. This piece has indeed puzzled me since I first encountered it, and I find that its meaning changes as time yawns on (as all art is wont to do). Most recently, glimpsing it as I traipsed with a friend down Rue de Belleville on a balmy May evening, its warning– to be wary of words– made me think of American politics, and a current President who uses words as crafty yet often surreal weapons– as if their relationship to facts were wholly optional. I have little doubt that the next time I’m there, it’ll leave yet another impression— much like this other intriguing example of street art does. This one can be glimpsed high up on Rue de Belleville (on the right as you approach Rue des Pyrenées). To me, it suggests a shadowy, perhaps not entirely benevolent modern goddess guarding the entirety of the silver-screen cinema era on a scroll. And it will no doubt evoke something else entirely for you. Get off at metro Belleville (line 2 or 11). 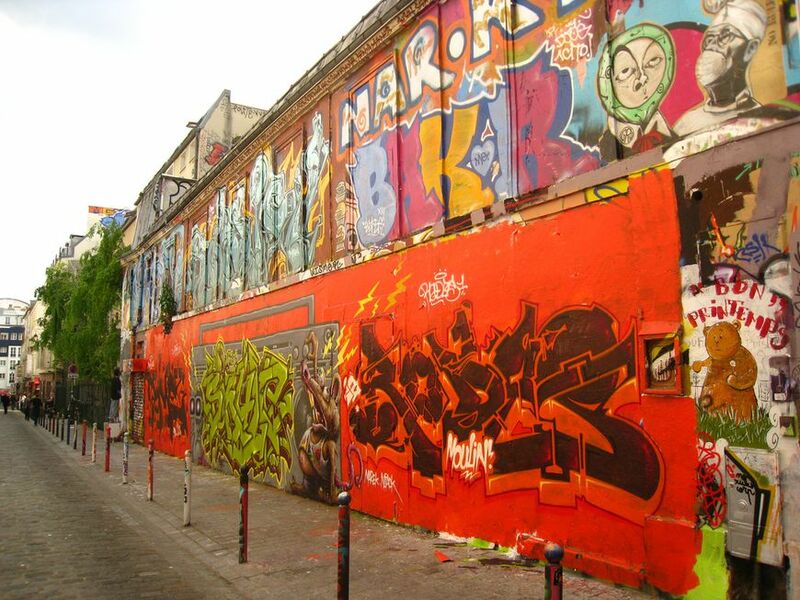 Streets to explore include Boulevard de Belleville, Rue Denoyez (famous for its street art and its hip, slovenly cafes); Rue de Belleville and the aforementioned Place Frehel. Alternatively, get off at Metro Pyrenees and descend Rue de Belleville. 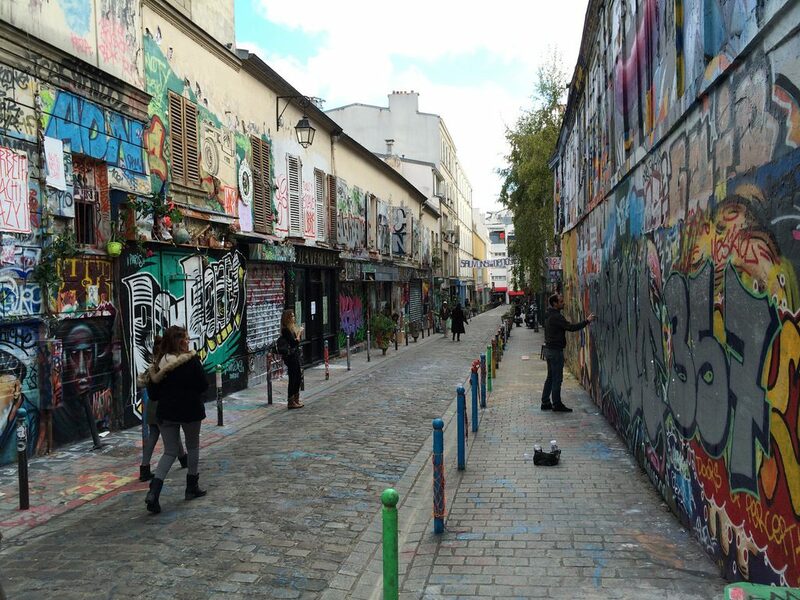 There are plenty of interesting tours of the area, focused on history, food or street art. You can browse highly-rated tours at TripAdvisor and book here, if you so choose. Note: This post contains some affiliate links. They come at no cost to you, but do help to fund more in-depth features such as the one you’re currently perusing. Thank you for your support.